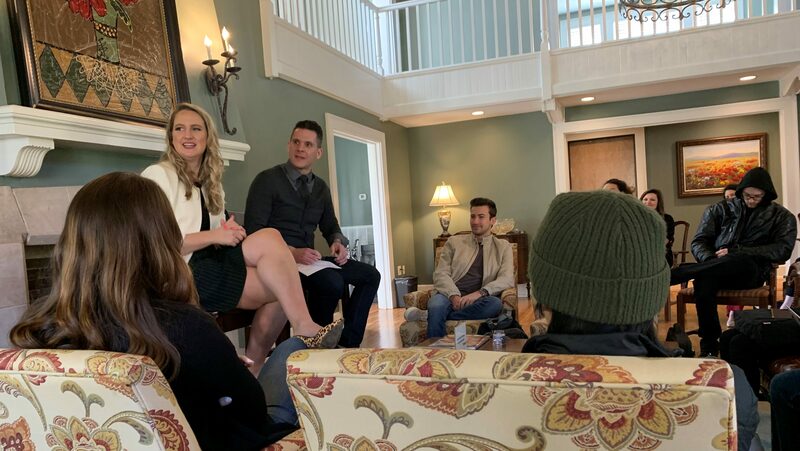 Transferring to Belmont in 2011 after making what she calls the “best decision I ever made,” Laine Arnold went on to discover her passion for politics and public relations as a student. After graduating in 2013, Arnold worked in the communications sphere before getting involved in politics. At a recent convocation event on campus, Arnold shared not only her career history and how it led to her becoming Governor Bill Lee’s press secretary but she also shared some advice with students. One important thing she has learned from her work as press secretary is the benefit of being aware of what you say and how conversations may be used. Her advice to students included being disciplined in what they say, adding that it’s often not necessary to say everything that comes to mind. Being mindful of what you do and say will only be beneficial, especially in the “big small town” of politics, she noted. When reflecting on her time at Belmont and her career, Arnold noted the importance of having practical knowledge and certain strong transferable skills. For Arnold, her most transferable skill is her writing ability. She noted how this has helped her in all of her positions.